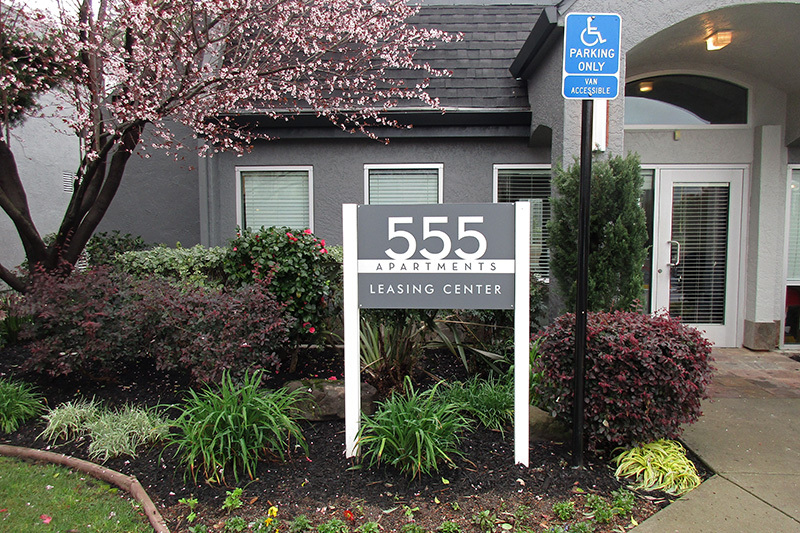 For many stores, apartments, and other places of business, exterior monument signs can make a large impact. Exterior monument signs are a great way to welcome potential customers and clients into your office by drawing attention to your name. Plus they also provide wonderful advertising for your company by letting all passers-by know exactly who and where you are. When people drive by your business at night, your exterior monument signs will truly stand out, drawing attention to your company and providing a welcoming and established business. Post and Panel Signage is an effective method of leading people to your business. Apartment complexes are a good example. With post and panel signage, you can deliver a clear and to the point message that offers instant identification, which is essential for potential clients navigating large buildings in unfamiliar territory. Businesses in shopping malls and business parks may require direction and outdoor directory monument signs to stand out. Directory signs allow companies to grow their brand establishing a set amount of display space that can be added to as changes take place within the property. This is ideal for shopping malls and business parks where new businesses are regularly updated. Freestanding signage is an ideal way for your company to catch the eyes of potential clients from a variety of areas and angles. These signs accomplish their purpose by dramatically affecting the landscape. These signs stand prominently, showing people where you are and making your brand a part of the topography. To find out more about monument signs and if they are right for your business. Contact us at (805) 641-1387 or Request a Quote Online .